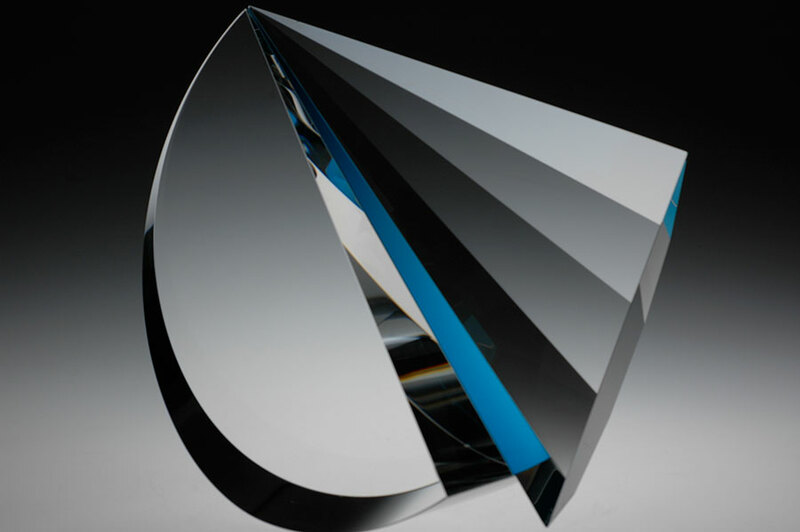 Czech-born artist Martin Rosol creates sculptures with precisely cut blocks of crystal, sandblasted and constructed in architectural form. 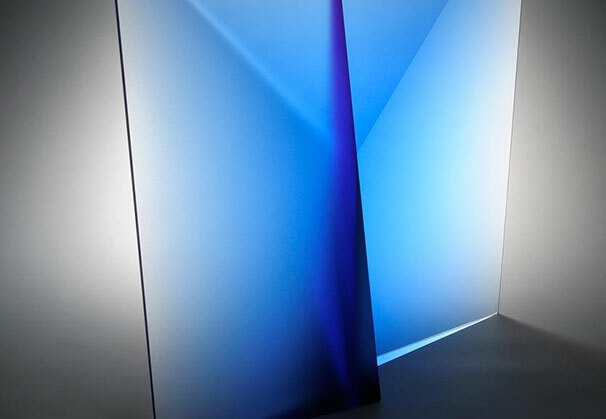 The range of translucence and the varied reflective surfaces, the clarity of the crystal, and the icy gloss of sand-textured glass all create enclosed spaces within the polished structures. 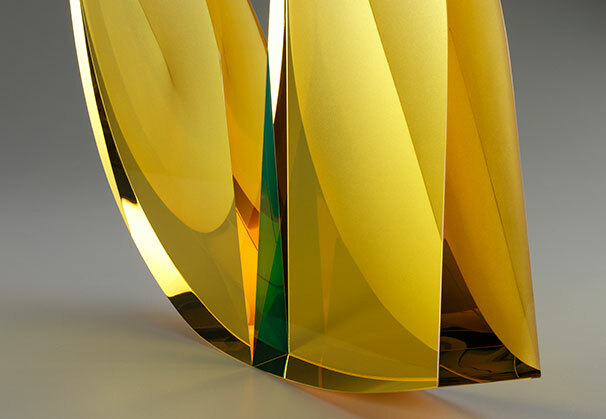 Designed to receive and contain illumination, Rosol’s sculptures are monuments to the light. 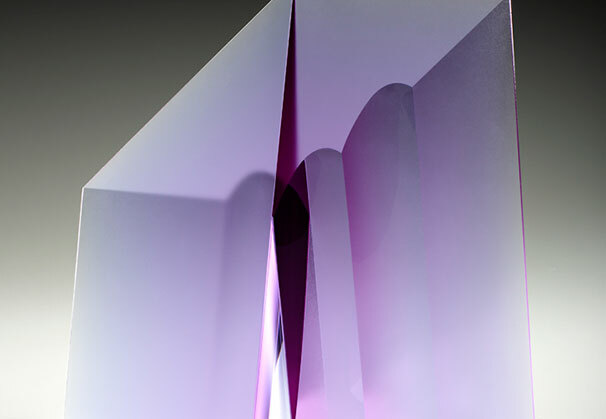 Rosol is represented by Ai Bo Gallery in Rye, New York. 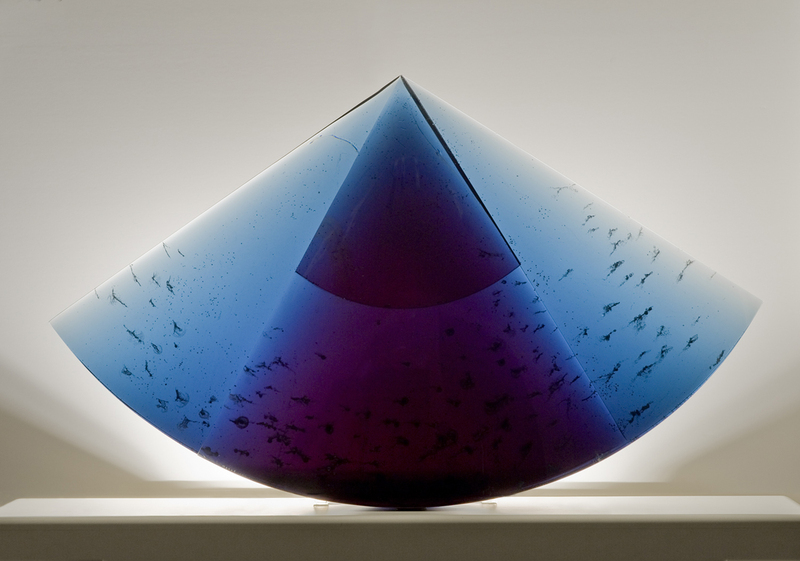 I come from a country with strong traditions in glass making, and my work is influenced by the many generations that came before me. 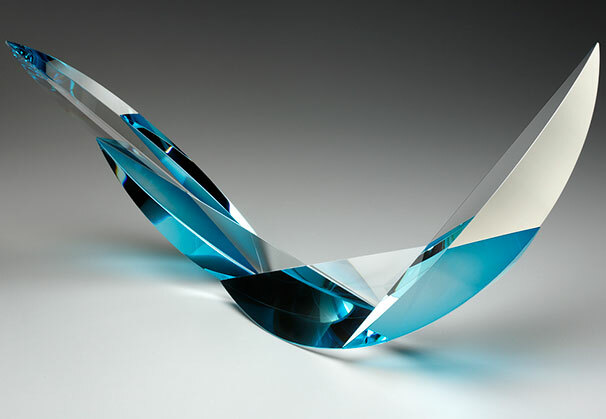 I appreciate the intrinsic qualities of glass that present themselves through my abstract sculpture. 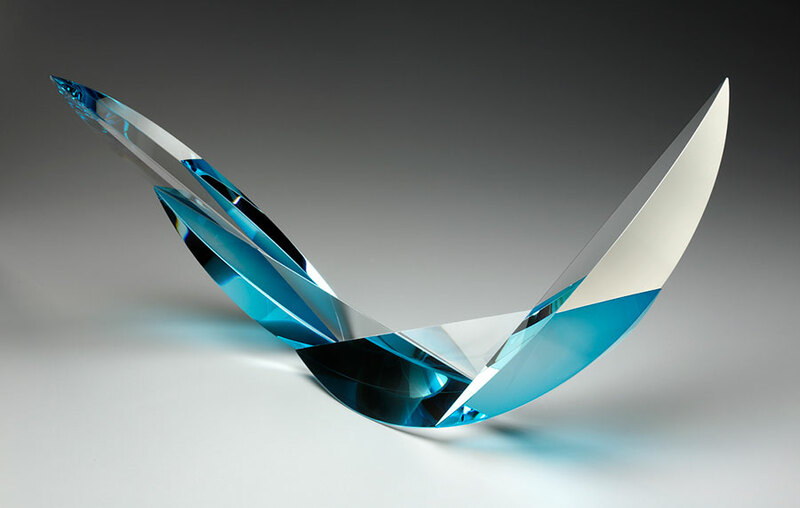 Each piece is unique and takes advantage of the qualities of glass that I admire. 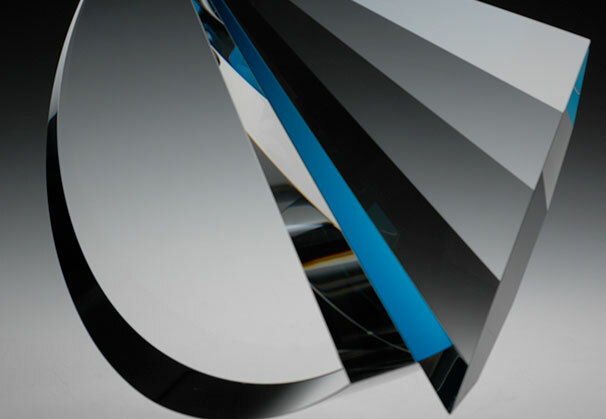 I am intrigued by the optical effects of glass that has been subtly curved and polished. 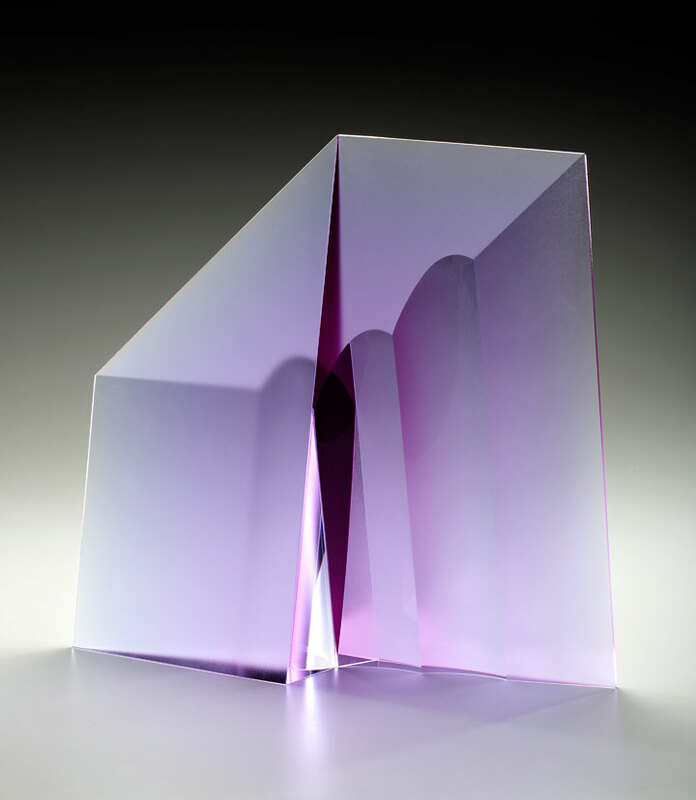 Light reflects and refracts through the glass and can be refocused in unexpected ways. Hints of colors are embedded into my pieces, adding another dimension to the illusions they emit. 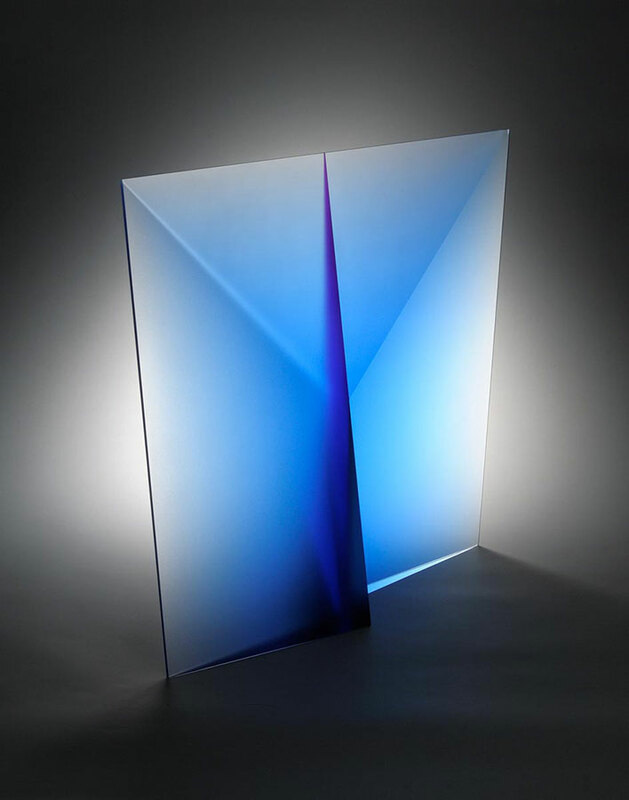 Minimal clean lines emphasize the clarity of the glass. 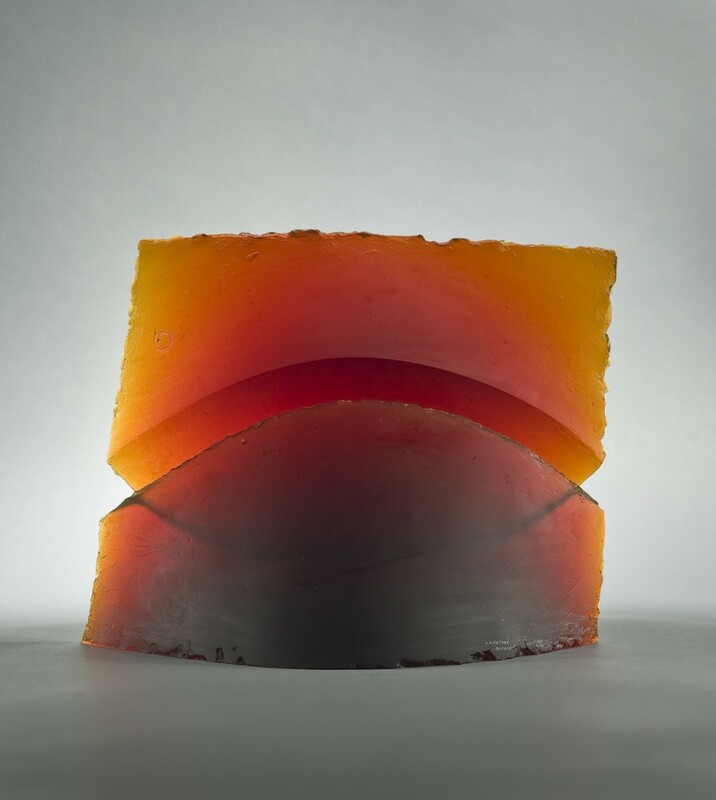 Elements of life can be confusing, lacking clarity, but as I polish glass I constantly work towards the clarity in the material that I also seek in life. 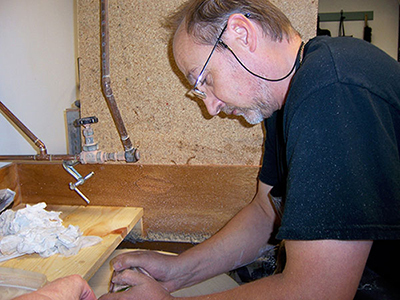 Born in Prague in 1956, Martin Rosol came to the United States in 1988 to pursue his career as a sculptor, a path unavailable to him in Czechoslovakia before Vaclav Havel and the Velvet Revolution transformed the country. 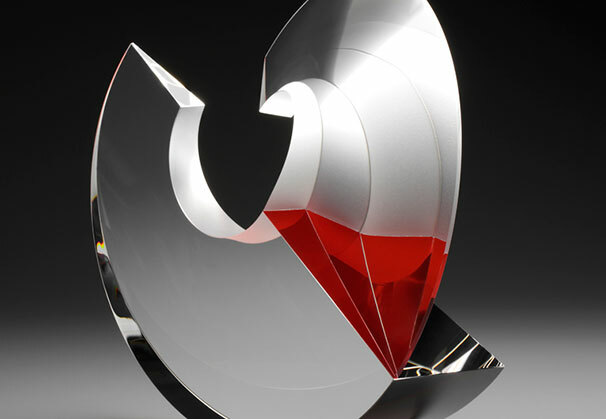 Rosol, like many Czech glassworkers, learned his trade in a company school set up to train craftsmen to execute limited edition designs for art glass manufacturers. Though the arrangement provided employment for many, it did not provide young artists with the degree required by the old regime to sell art. 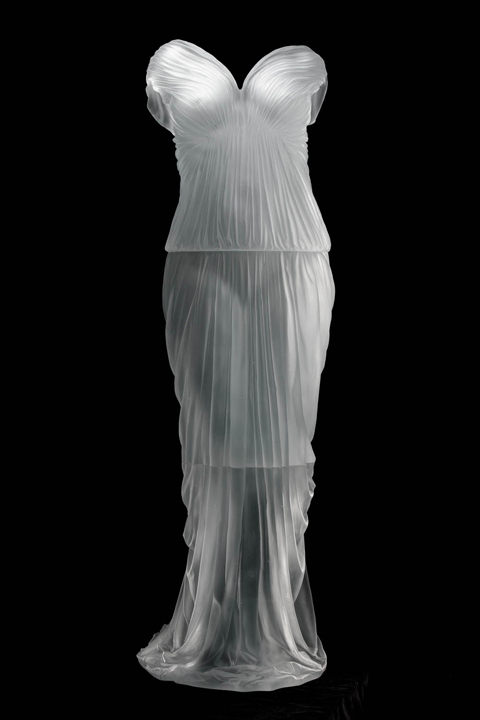 So Rosol, who had been designing and making sculptures while working in a glass factory, shipped his work out of the country. 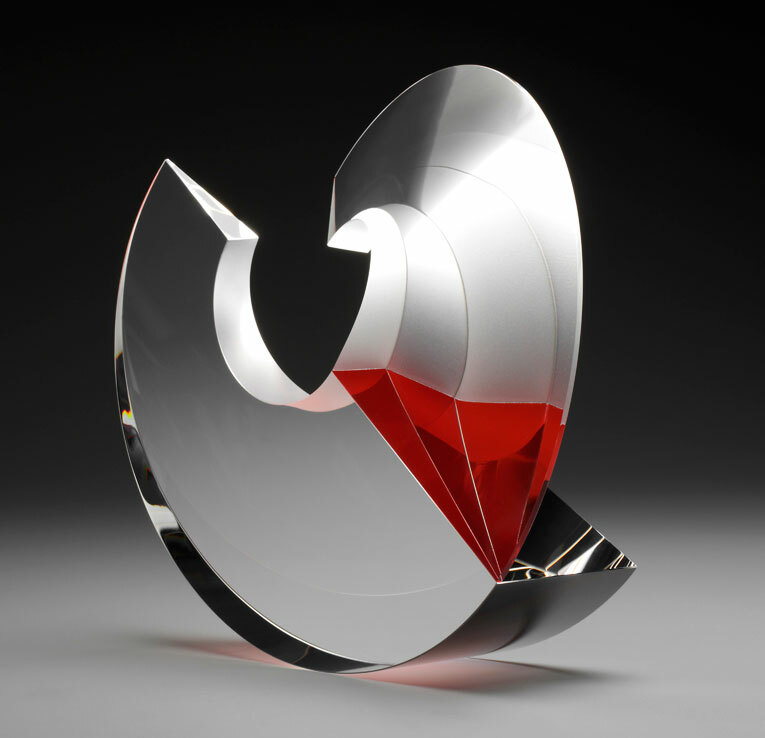 Before long, his sculptures were being exhibited in Europe and United States, and in 1981 he was awarded the Bavarian State Prize for Glass Sculpture in Munich. 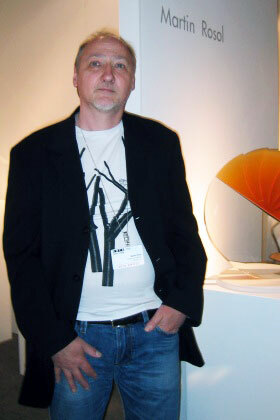 In 1986 he left Czechoslovakia for Austria and two years later came to the United States. 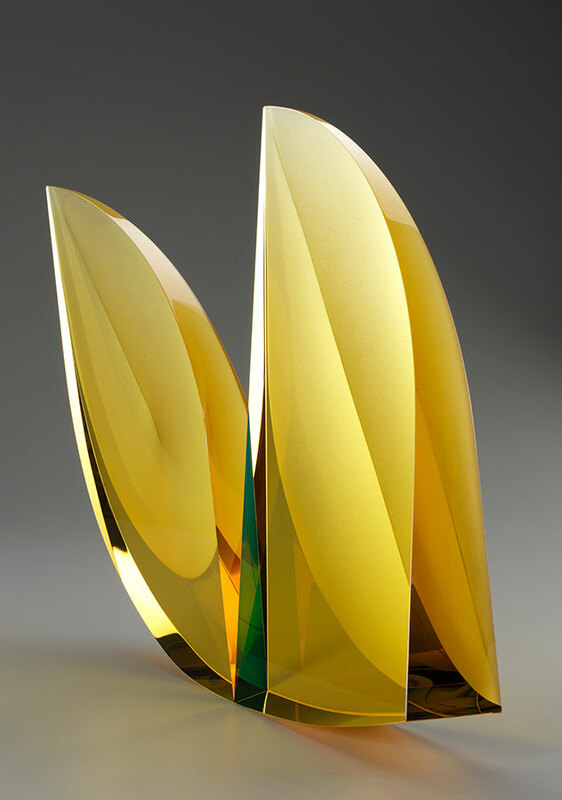 Rosol's works are included in the collections of the Philadelphia Museum of Art; Seven Bridges Foundation, Greenwich, CT; Fuller Craft Museum, Brockton, MA; The Corning Museum of Glass; Museum of Fine Arts, Boston; Museum of Arts and Design, New York; Kanazawa Museum, Japan; and The Moravian National Gallery, Brno, Czech Republic. 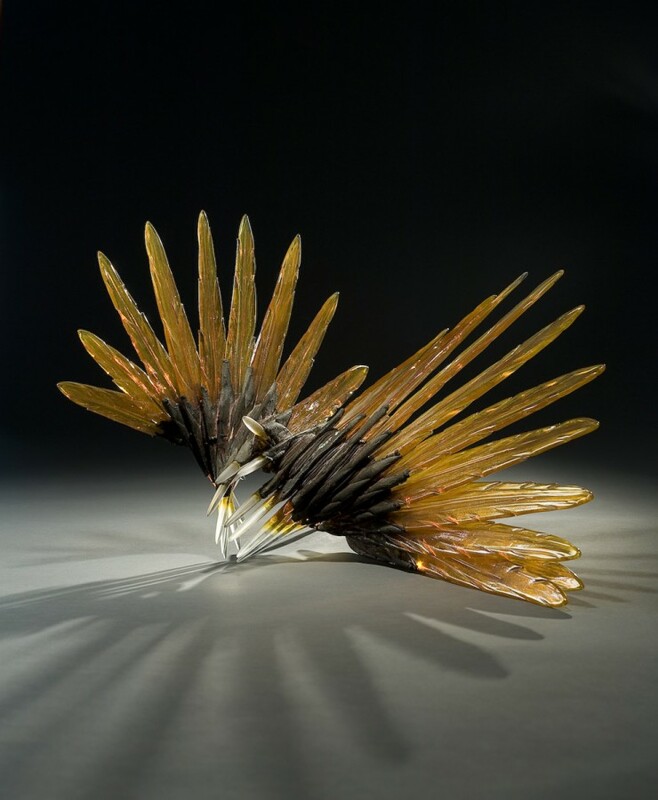 He also is a recipient of The Bavarian State Prize for Glass Sculpture. 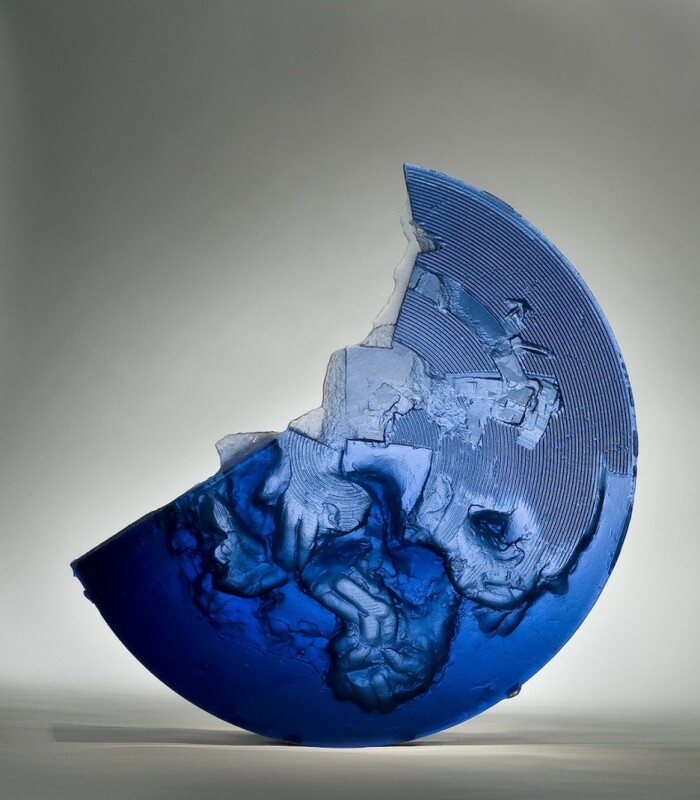 We are grateful to Ai Bo Gallery, Rye, New York, for providing the materials for the Artist of the Month.